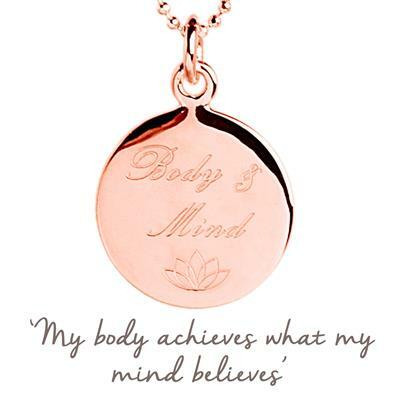 From the fabulous Mantra collection, this 925 Sterling Silver disc necklace is plated with Rose Gold and inscribed with 'Body & Mind' and hangs on a 16inch chain. Wear your Mantra necklace to inspire you every day and use its positive affirmation as a way to gently steer you on a positive path. Remind yourself that you are capable of anything you set your mind to!